Safe church policies help protect the most vulnerable among us, especially our children from the devastating effects of abuse. Policies also protect churches, church staff, and volunteers from possible false allegations of abuse. Everyone is safer when policies are in place. Presbyterian Church (USA)’s website: This website is designed to help all ministries be safe ministries, includes information on how to create policies, raise awareness of prevention practices, report misconduct and rebuild a broken trust when sexual misconduct occurs. A Project of the Presbyterian Church (U.S.A.) and the Presbyterian Child Advocacy Network (PCAN) A Network of the Presbyterian Health, Education and Welfare Association (PHEWA). This 36 page manual gives an in depth over-view of statistics on child and youth abuse, outlines how churches can create policies, sample training plan, and examples of forms and documents. 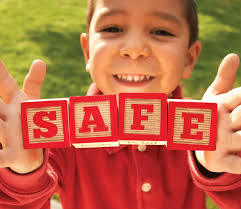 Safe Sanctuaries: Reducing the Risk of Abuse in the Church for Children and Youth by Joy Thornburg Melton. Published in 2012, this expanded & updated edition includes information from 2 previous books plus new section on vulnerable adults & safety on the web. Includes excellent suggestions, guidelines, training, worship, sample forms & much more. Prohibited behavior – definitions of terms and types of abuse and standards of conduct. Prevention measures which include: 1) screening, 2) training and 3) prevention procedures for minimizing the risk two adult rule, for example) for adults working with children in your church. *If your church does not have a media policy, make sure your procedures for minimizingrisk address use of technology and social media. Insurance Board/Partners in Prevention: Provides on-line courses for PCUSA churches. Check with your insurance company to see if they have a preference or suggestion.